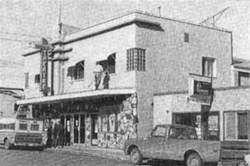 Leduc’s Gaiety Theatre as it was around 1970. It is now the Leduc Antique Mall. Leduc – About the same time that Stanislaw Sarnecki was planning to migrate to Western Canada from Laszki Poland another Polish family, Tymko (Thomas) Pyrcz and his wife Katryna also planned to leave their home in what was Lazy Austria and today is in Poland for the wilds of Western Canada. They lived 190 kilometers apart and were not aware of each other’s plans, but both faced the same conditions that made it difficult to feed their families and both hoped a move to a new land that would offer new opportunities for them and their children. Little did Pyrcz know the impact his family would have on the community known as Leduc? A month after Sarnecki arrived in Canada, Tom and his family landed in Halifax on April 08, 1897 and thanks to Interior Minister Sifton soon found themselves neighbors to Sarnecki and his family. Tom had sold the family’s belongings and with the money was able to book passage to Canada and had enough left over to buy out a German homesteader who wanted to go to the States. The property came with two cows, but with four sons Iwan (Johnny), Andrew, Ignatius (Ignius), and Hrytsko (Ted) that came with him and his wife to Canada he soon needed more land and bought a homestead near Calmar. It was his oldest son Johnny that made the first impact on Leduc. Johnny was sixteen years old when he arrived in Canada and with the hardships of developing the farm he sought to help by working in town. He picked up a job with Karl Martin who ran an implement business. After a few years the two decided to go into business together and opened a hardware store and built a two story brick building. In 1912 Martin bought out Johnny and ran the store until 1915 when he disposed of the business and went back to teaching. Meanwhile Johnny married John Borys daughter Mary and became a realtor and bought a farm near present day White Mud. He traded much of his father’s original farm near Sprucedale for lots in Edmonton. One of Johnny’s sons, Cyril, would serve as a school inspector for the Leduc School Division. Tom’s son, Ignius, was manager of the Leduc Hotel for several years and sold his interest in the hotel shortly before the explosion of 1950 and would operate a hotel in Breton before retiring to Edmonton. Andrew, Tom’s second oldest son, was ten years old when they arrived in Alberta. It would be Andrew that would inherit the homestead near Calmar and father three sons and two daughters. In 1949 oil was found on the farm and Andrew and his wife retired to Edmonton shortly after the discovery. His son Emmanuel (Manny) would be responsible for bringing a full time theater to Leduc. Manny was born in 1920 and by the 1940’s he was a young man looking for an opportunity to run a business. Manny felt it was time that Leduc had a full-time movie theatre and in 1947 he opened the Gaiety Theatre. Prior to the Gaiety Theatre movies had been shown, as early as 1912, in Telford Hall. 1947 was also the year he married Maxine Workum on the first day of September. Things looked bad when the theatre was hit with fire in February of 1948 and burned to the ground. One to never to give up Manny began to rebuild and in July of 1948 the Gaiety Theatre was re-opened for business and became a major recreation facility during the middle of the 20th Century beginning in the late 40’s and 50’s. The theatre could seat 200 people and was built in the Art Deco style that was popular and unique at the time. Manny eventually sold the theatre to Mr. & Mrs. Jack Lewis. Today the building hosts the Leduc Antique Mall and is considered a building worthy of being recoginized as part of Leduc’s Downtown Heritage.